“`A real-life crime took place after the Academy Awards ceremony that culminated in the detainment of a crook. 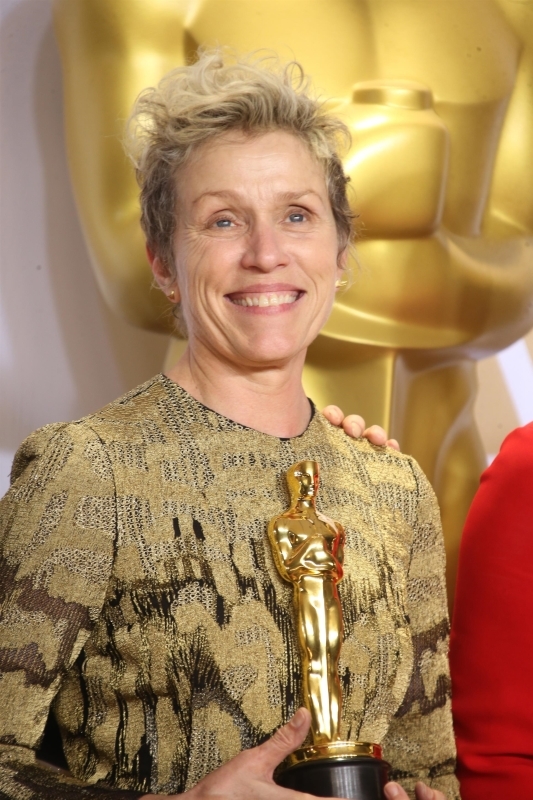 Terry Bryant was arrested by local authorities for suspicion of felony grand theft for stealing Frances McDormand’s Best Actress statuette for her performance in Three Billboards Outside Ebbing Missouri. “`The statuette was allegedly stolen during the Governors Ball after-party. Bryant had a ticket for the event. A video that posted live on a Facebook page that appeared to belong to Bryant that showed him kissing and flaunting the Oscar during the gala. A photojournalist stalled him after taking his picture holding the trophy. “`The photographer didn’t recognize him as a winner, and began following Bryant. When he was confronted, the assailant handed the statuette back without a struggle. He was held by security guards at the event, and then arrested by Los Angeles police officers. Gary Oldman was given the accolade for security reasons until McDormand could be found. “`Frances was not the initial victim of theft at an Academy Awards function. Alice Brady won the Oscar for Best Supporting Actress in 1937. She did not attend, and a mystery man accepted it on her behalf. He would run off with it. “`In those days, supporting actors were awarded an official plaque. The Academy intended to replace her prize. Unfortunately, she died of cancer before receiving it. The original was never recovered, and it remains missing to this day. “`After Frances and her Oscar were fortuitously reunited, they celebrated with a double double from In-N-Out Burger. That is what this tale and hamburger are all about. This entry was posted on Monday, March 5th, 2018 at 9:28 pm	and is filed under Blog by Manny Pacheco. You can follow any comments to this post through the RSS 2.0 feed. You can leave a response, or trackback from your own site.